Your wedding day is not only the most important and romantic day of your life it is also the most photographed. So it's important to look your very best. 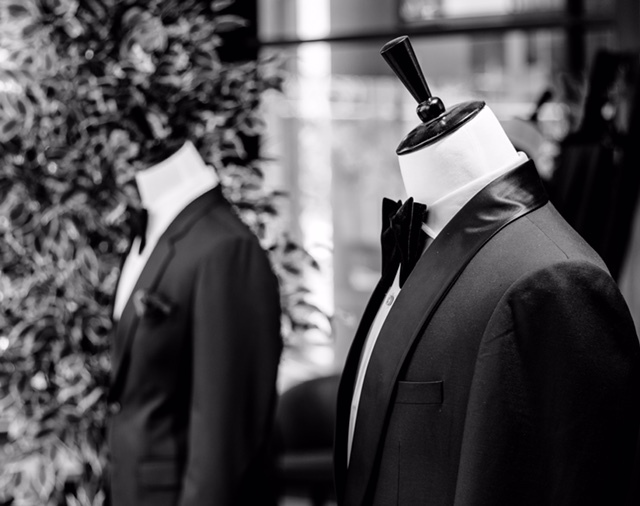 Whether you're planning a traditional white tie and tails affair, or something a little more relaxed and funky, O.S Man Tailor Made is adept at creating clothes that perfectly reflect the occasion. An elegant, embossed stiffie sitting atop the mantle piece is often the precursor for needing stylish evening wear. For a first night at the opera, a star-studded awards ceremony or dinner with the great and the good, today's man about town knows that a well cut, beautifully stitched dinner suit will set him apart.